Men -- and women -- at work. 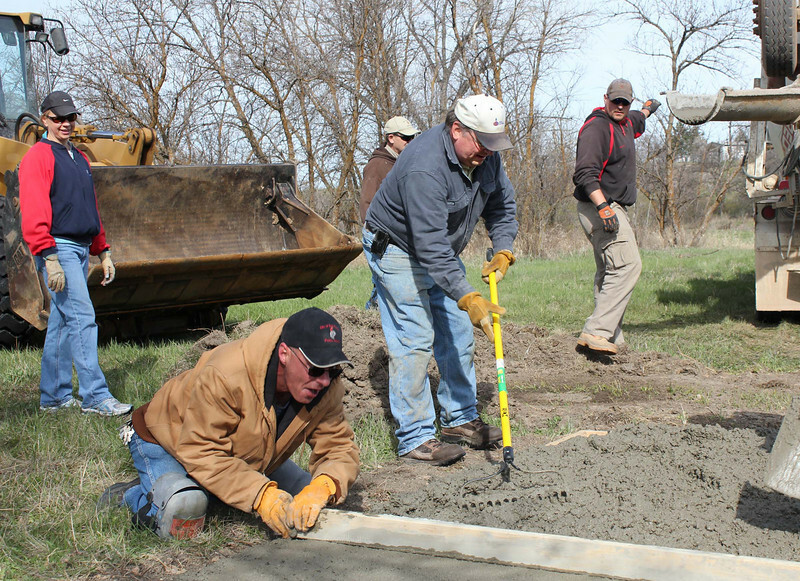 That's Susan Peterson at left, joining the assembled group that help pour concrete pads for the course. Susan and a committee of other Belle Fourche citizens have been instrumental in helping bring a wide variety of enhancements to the concrete pathway around town.